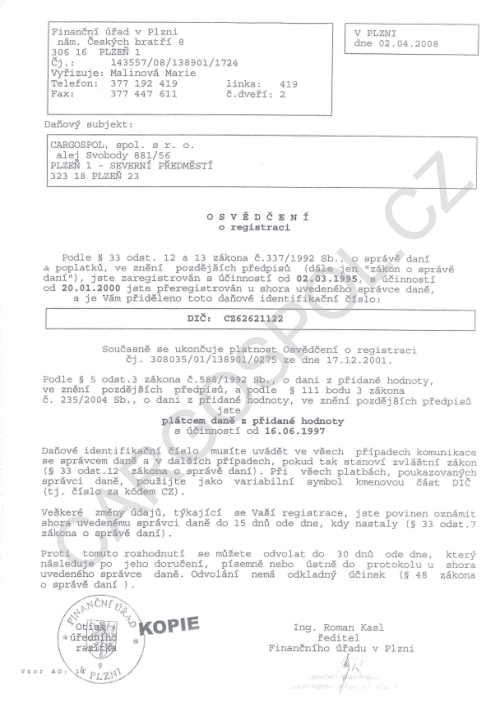 CARGOSPOL s.r.o. 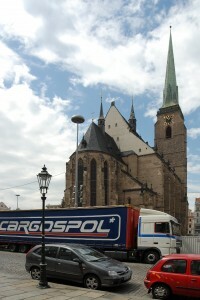 is a modern, dynamic company offering transport, forwarding and logistic services in the area of EU and other European countries. Skilled professional team, modern fleet and professional approach assure the high quality services and effective performance of the executed transport processes. The Company emphasizes ecology of transport processes; operated vehicles fulfill the requirements of EURO 3 and EURO 5 standards. 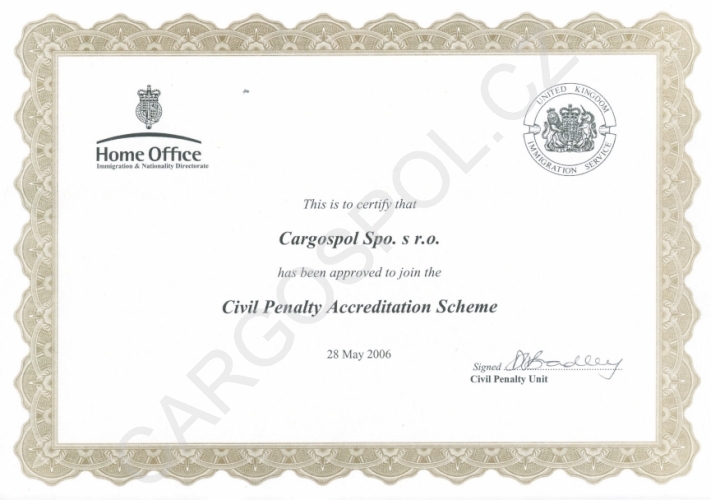 All Company vehicles are equipped according to the ADR regulations. 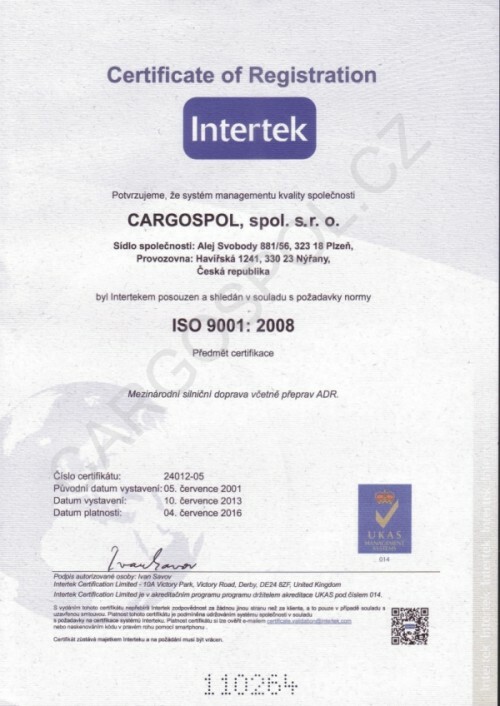 “Quality Management System” according to the ISO standard 9001:2008 is used in CARGOSPOL Company. 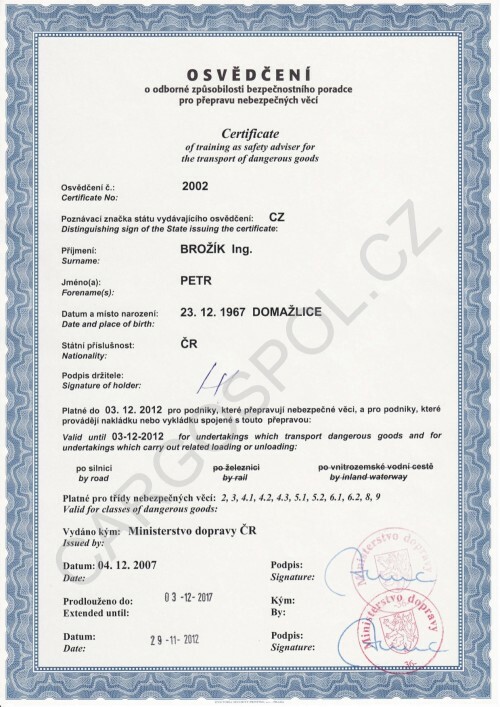 CARGOSPOL Company is registered at Commercial Register, Section C, Insert 6215 maintained by Regional Court in Pilsen.